Katlyn Fiorucci Commits to Rockford University! Shout out to Heat player Katlyn Fiorucci(Christian Life High) for committing to Rockford University to play basketball while pursuing her major. Katlyn has had a great career at Christian Life, some of her notable accomplishments was being named Team Captain, 1st Team All Conference, Lead in Steals and Rebounds, scored a triple double, and played hard on offense and defense! Great Job Katlyn, all Coaches, Players, Parents, and Fans are proud of you! Keep up the hard work! Heat Alum Playing in National JUCO Championship Today! Shout out to Brandi Fier, Class of 2015(Hononegah High) for making it to the National Championship Game TONIGHT! 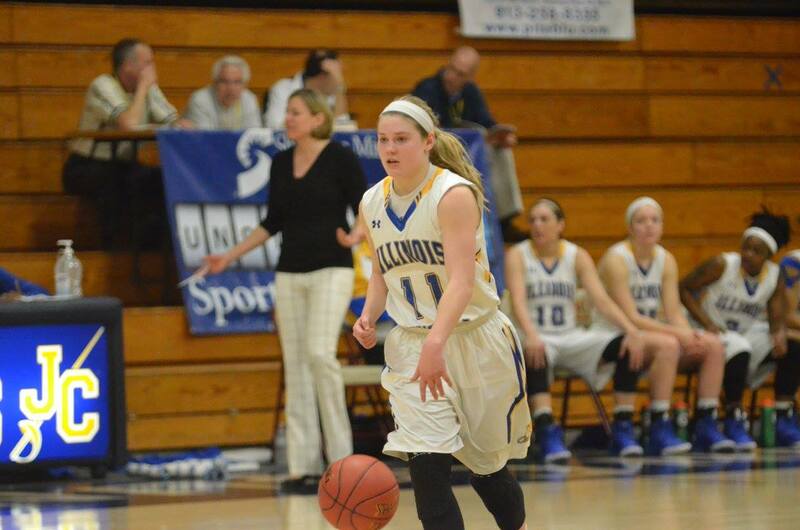 Brandi plays for IL Central College in Peoria IL and has been their floor general all season. Good luck to Brandi, Coach Redeker and the entire team, Game time is 7:30pm. Click the link below to get all the tourney details or to watch it live. 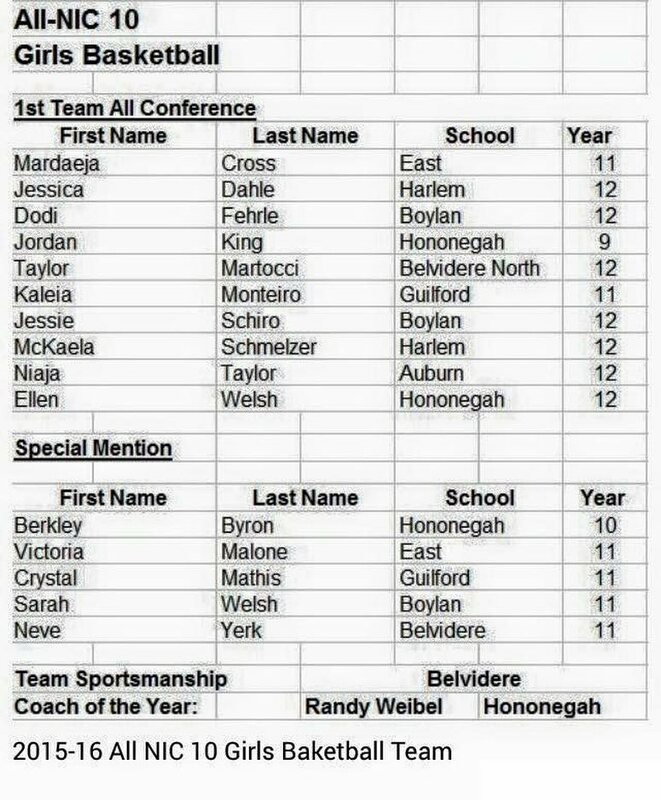 Heat Players Dominate Girls NIC 10 All Conference Team! Shout out to multiple Heat players that were selected as NIC 10 All Conference players for this season. Heat Elite Seniors Ellie Welsh-Hononegah High, Michigan Tech University Commit, Niaja Taylor-Auburn High, Kirkwood College Commit, and Jessie Schiro-Boylan Catholic High. Heat Elite Juniors Kaleia Monteiro-Guilford High, Victoria Malone-East High, Neve Yerk-Belvidere High, Sarah Welsh-Boylan Catholic High, Crystal Mathis-Guilford High, Mardaeja Cross-East High, and former Heat players Berkley Byron and Jordan King-both Hononegah High. Heat Alumni Brandi Fier Leads ICC Into Nationals! 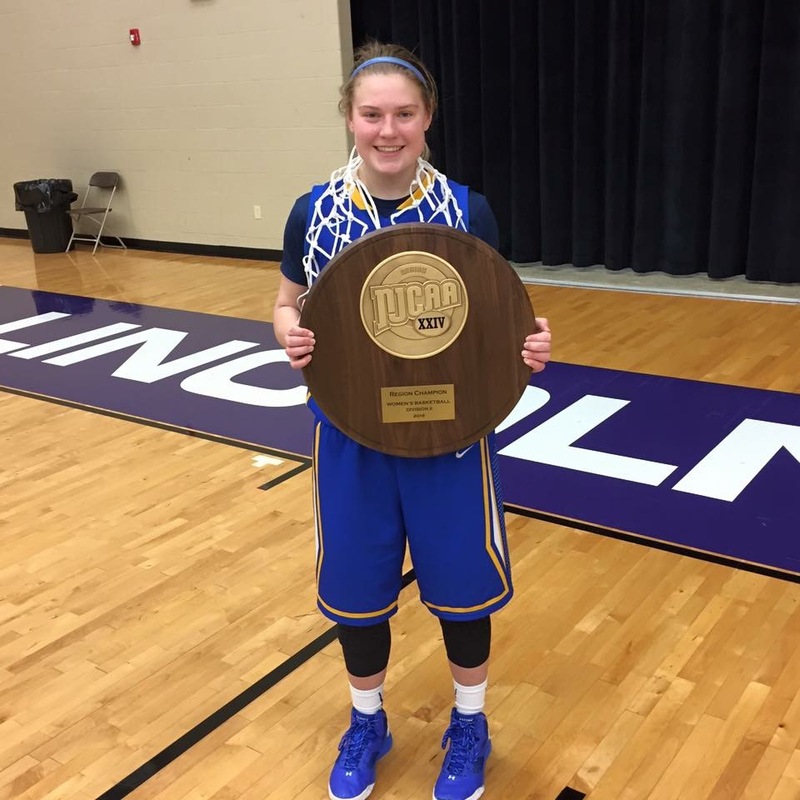 Shout out to Heat Elite Alum Brandi Fier(Class of 2015-Hononegah High) for helping lead IL Central College to a Region XIV Championship and their National Tournament starting tomorrow! Brandi has started essentially every game this season and continued where she left off in the NIC 10 by leading in assists and playing very aggressive defense! Out of 131 teams at the DII JUCO Level, ICC nabbed the #2 seed for the tourney after a very impressive season. Great Job Brandi and good luck to you and the team! Heat 3rd Grade Boys Roster POSTED! If, for any reason you are unable to accept your spot on a roster, please contact John Penney ASAP! Mandatory Parent/Player/Coach meeting is Thursday March 10th at 7pm, located at IBEW Banquet Hall, Located at 6820 Mill Rd, Rockford IL. You need to fill out all information online at the following link: John.penney or 815-871-4112. Heat Varsity Elite Girls Roster POSTED! Heat Varsity Select Girls Roster POSTED!